There was a lot to digest last week, so let’s jump right to it. The AP reported that the Supreme Court has ruled that states can force online shoppers to pay sales tax (all times local). This was an obvious jab at the monopoly Amazon holds in the online e-commerce business. AP also reported that Wayfair, one of the companies named in the case and the e-commerce company that sells home goods expects this decision to have a “notable impact” on its business. 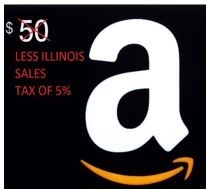 Our home state of Illinois is probably salivating, most likely spending the money before its even collected! We also read a story from the FT, that some novice day trader who thought he was trading a sim account amassed huge losses in a live account, to then realize he was trading a live account. He went on to recoup all the losses and rack up $10 million in profits. Harouna Traroré, was practice trading on Valbury Capital Brokerages platform, but then realized the trades he was doing were in a live account, but not before he racked up some decent sized losses. We hardly doubt this was an “internal” error, anyone in the biz knows how difficult regulations are and how stringent risk is, we feel this story wreaks of fraudulent insider doing, anyway we know damn well, he isn’t going to see any of that money! Nomi Prins penned an excellent article last week via tomdispatch.com, entitled What’s the End Game? Her original article can be found under, “Imperial President or Emperor with No Clothes.” Nomi voices her concern about the President’s recent tariff and harsh global rhetoric amongst our trading partners. She called into question his ability to actually sign or negotiate actual bi-lateral trade agreements. She fears these trade wars may end up costing millions of American jobs instead of spurring them. We have discussed at length, what seems to be Trump’s anti-globalist agenda, and we can’t say that we disagree with his themes. However, we must point out the fact that trade wars spur currency wars and they in turn spur hot wars, or real wars. So, she may be on to something, but then again, is there really any other choice? Can the US continue to afford exporting standard of living around the globe in return for cheap goods and services? We doubt it, so maybe Trump has just forced the issue to the forefront, rather than kick the can any further down the road. We feel that perhaps there is more to this story behind the curtain and that American security is indeed a concern, especially with China. 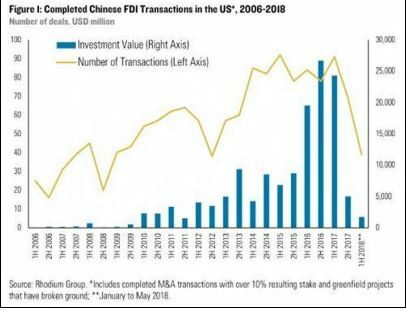 Speaking of China, the tariffs have had an obvious effect as FDI has plummeted. The OPEC meeting was in full anticipation mode on Friday as Crude Oil jumped a massive 4.6% on Friday as speculators and those in the know anticipated higher prices as a result from their recent meeting in Vienna. After agreeing to adding to production by 1 million barrels a day, the price jumped as investors obviously felt that perhaps the increase wouldn’t actually get to that level or geopolitical struggles out of Iran and Venezuela may hinder this production increase. As we pointed out last week, the equity markets have gone nowhere since carving out the Jan-Feb range. 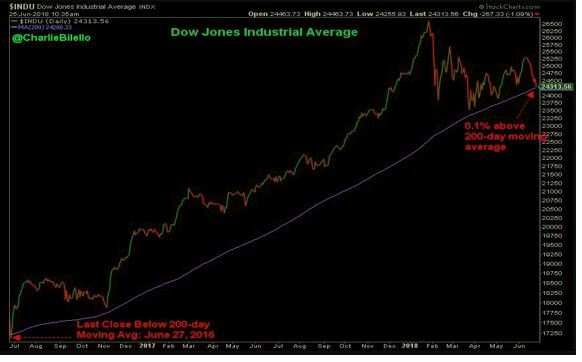 This doesn’t bode well, in our opinion and we have a few charts that we are seeing that don’t paint a very formidable picture of market strength. 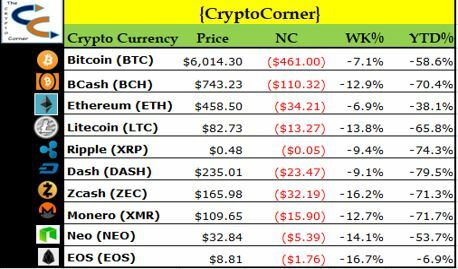 Let us begin with the obvious chart, that is, where is everyone hiding? 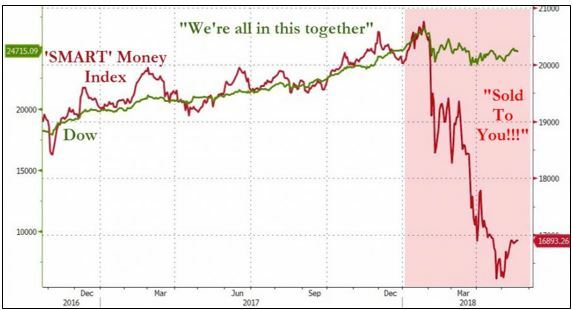 Now the icing on the cake, from one of the best analysts on the streets in our opinion, Pension Partners Charlie Bilello, if you don’t follow him on twitter, or listen to his webinar’s, you are a fool. He is a straight up quant that gets it more so than normal, so we advise you to follow him. Ok, not to add insult to injury but we have been doing a bit of home price monitoring around the old hood and we can’t help but think, the two-tiered economy is evident even at this microlevel. What is strange is that we still have multimillion dollar teardowns, but we also have homes that are barely above 2005 prices or are indeed still underwater. For those that think homes are an investment, after reading the following we believe you will rethink that proposition. So, we wrote a piece awhile back about this very subject, but we think revising this with a current exercise is well worth the time. So here we go. Now a few takeaways, this doesn’t include any updates to the home, any yearly maintenance fees, which in total will most likely push this number well north of $900k in money spent, cash spent. However, the big question is why do it? Is it all worth it? Or the bigger question we get, what alternatives are there? You need the big home, the big expenses, the big car, we call BS, we say it’s a scam. In fact, econometrics may likely deem it as a likely leading cause of divorce. Look we aren’t advocating everyone should run out and rent, but when you buy a home and you don’t pay cash for it, I am sorry, you are renting, in fact it’s worse than renting, your overpaying in every single way and for what? The obvious arguments are extremely valid, great schools, a good neighborhood, safety, protection, accomplishment, we get it, but how much is this really worth? What truly means the most to you? Money, wealth, family, happiness? It seems as if the strive for humbleness is overshadowed by the quest for power and wealth. Its not easy keeping a level head because conservatism isn’t short on certain stigmas to overcome, especially in the financial arenas. We get it, if you don’t drive that fancy hot car, if you don’t live in that mega mansion, if you don’t belong to the country club, people use these as benchmarks to success, why? Because it’s been driven into the psyche that success is somehow measured strictly within monetary constructs. Your anathema, especially in the financial spheres if you exude conservatism, but we are hoping to change that thought process. This is really how some people think, not all people, but some, not that they will ever admit it though, but shallowness is perhaps in abundance. Anyway, we tend to think America is finally realizing that this system of debt is not all its cracked up to be. All this debt, taxes, etc. are hidden wealth thievery propositions which are being met with mass American anti globalist mantras. People finally deciding, they have had enough. The prior example we just showed you is a symptom of decades of conditioning, which is now slowly being broken down. If you ask anyone out there if a home is a good investment they will shout a resounding yes. We say, define investment. How many people buy what they can afford, truly afford? It always seems to be a push to the absolute limit and even if the limit is set, the brokers and bankers are always there to sell you just a little bit more. Please don’t be offended by this quant analysis of housing, it should enlighten you and make you think about VALUE and exactly what investments are able to extract it and which ones ultimately end up consuming it. If people would live with a little bit less, expect a little bit less and sacrifice just a little bit more, spotting value might just become a little bit easier. Obviously, this doesn’t pertain to the 1%, but for everyone else, you really want the key to happiness, do the 3 things we just mentioned. Hell, if you are damn lucky enough, that you can afford the $1.4 million-dollar house, buy the $900k house instead and then toss the extra dollars into a rental property! This is the real secret of wealth accumulation, letting your money go to work as opposed to you working for your money! 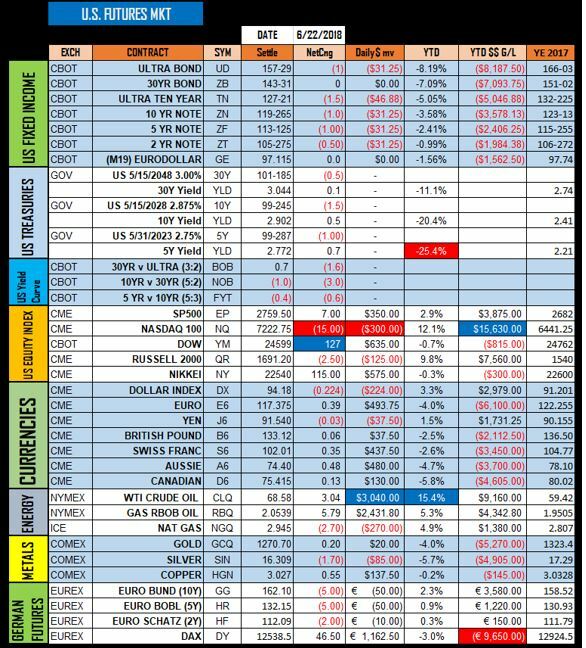 Finally, we leave you with our weekly futures settles of the markets we tend to follow closely, RBOB has peaked our attention, Crude continues to be black gold and the equities haven’t done much, in fact the Nikkei and the DAX are of utmost concern which may perhaps lead to a broader global sell off. With the half way point of the year gone, we can’t help but think a reversal of fortunes from the first half of the year may be in order and that volatility is begging to pick up, Cheers!